A broken relationship...a person left behind...death of a dream...all of these things enter my mind when I see this. So simple, but so well done. 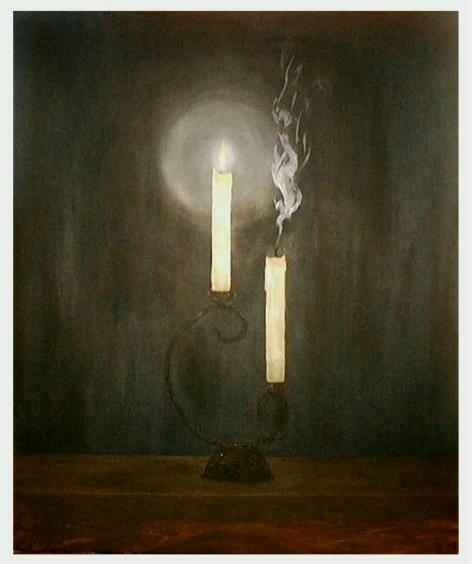 Uma vela cesa, outra apagada, uma pintura que nos faz meditar, lindo. your work is fantastic Jose!! I love the way you set a simplistic look yet have so much within it! Very good! !